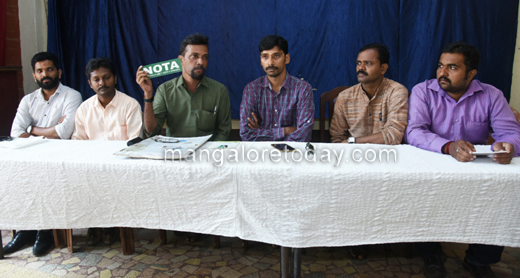 Mangaluru, Jan 23, 2018: The Sahyadri Samrakshana Sanchaya which is spearheading an agitation against the Yettinahole Project has decided to field its candidates from some constituencies in the upcoming state Assembly elections. 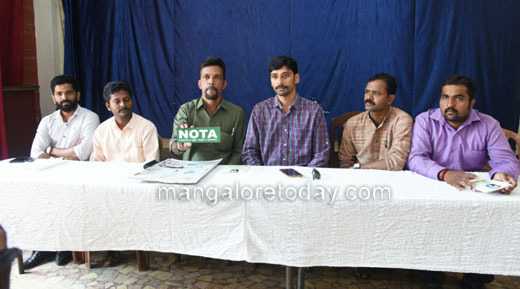 Speaking to reporters here on January 23, Tuesday, Dinesh Holla, Convenor of the organisation, said people who back the movement to save Netravathi and who are interested in contesting the elections, will be fielded as the candidates of the Sahyadri Sanchaya. He also stated that in places where the Sanchaya do not contest, it will launch a campaign for NOTA and will urge people to cast their ballot for NOTA in protest against the apathy of the elected representatives including those from the Congress, BJP and the JD(S) in saving the environment. He also pointed out that 7,500 NOTA votes were polled during the previous Lok Sabha elections and 28,000 NOTA votes during the panchayat elections. Regarding the recent reports of spotting of Naxals near Shirady he said nothing like that has happened and that it was all false news. "Resort and drugs mafia was in control of the Western Ghats and it does not want anyone to enter the forest area," he alleged. He said the Sanchaya would be holding a protest on Republic Day to pressurise the authorities to save Western Ghats.